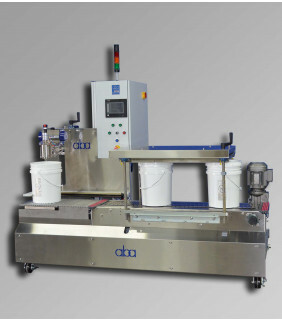 For companies looking for flexibility and small batch runs, we offer our line of semi-automatic liquid filling machines. 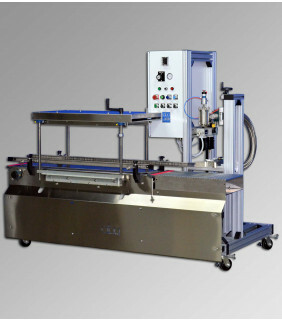 These machines provide a cost-effective solution combined with simplicity. The semi automatic filling systems we offer can be used as starting point machines for smaller companies, or utilized for niche product filling. While they provide a lower-cost solution, they still offer flexible and accurate liquid filling remedies. 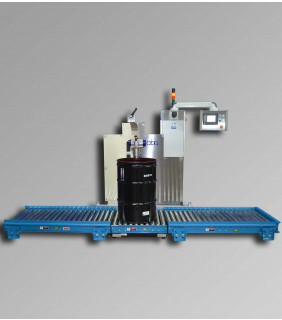 Semi-automatic machines allow for manual presentation of the container to be filled, but can be supplied with optional automatic features such as conveyors, lid presses, and lid crimp units. ABA's long list of clients contains big names corporations such as PPG, True Value, Comex, Sherwin Williams, Rodda Paints, Henry, 3M, Home Harware, Nippon Paints, Yenkin Majestic, Zinsser, Rust-Oleum, Kelly Moore and numerous others. 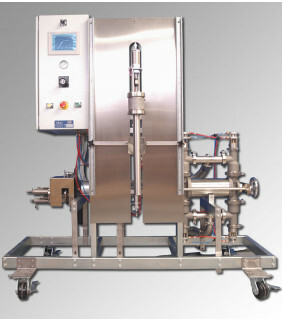 We provide all types of volumetric and net weight liquid filling machines to small and big companies alike. As they have grown, our clients have used our extensive knowledge in liquid filling machines, to their advantage. We not only supply companies with high-quality machinery, we also provide advice, recommendations and solutions. 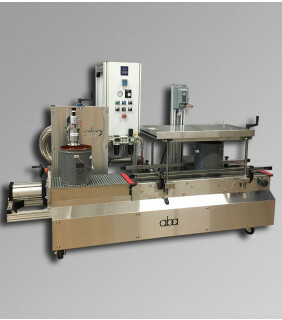 For almost 3 decades, ABA has been a world leader in supplying top companies with semi-automatic filling systems. Our extensive knowledge, quality, and custom designs, have made us number one in our market. Give our team a call at +1 (803) 396-0621 to learn more about the benefits of semi-automatic filling machines and equipment.